Thanks so much to everyone who has contributed to this report which tells us about the state of Te Waihora/Lake Ellesmere and environs in 2015. You can download a copy here. We have added links and additional information for each of the topics covered in the report. Scroll down to see links and additional information for each section. Please note, Environment Canterbury began updating their website in late 2016 and have removed or changed links to a number of the documents listed below. If a link for an ECan document or webpage no longer works, please contact ECan directly and they may be able to help you. A brief overview of the integrated monitoring strategy for Te Waihora and environs, developed by Ken Hughey from Lincoln University, in association with a number of other organisations, can be downloaded here. 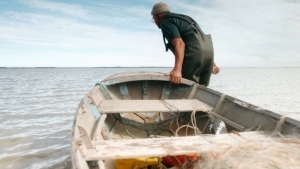 The Strategy provides the framework for the 2015 State of the Lake report. 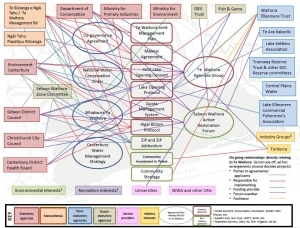 In 2013, at the Living Lake Symposium, a diagrammatic representation of the relationships between the key stakeholders associated with the Lake was presented. The diagram, developed by WET (Laurien Heijs, Hamish Rennie, Adrienne Lomax) with assistance from David Perenara O’Connell, showed the complexities of governance and management. It also showed that some parties were not particularly well connected to decision making or key discussion forums. As a result, the membership of the Te Waihora Agencies Group was expanded to include CDHB, The Waterways Centre and the Living Water Partnership. For 2015, the focus of the report was on some of the collaborative groupings, working together for the benefit of the Lake. This included the Agencies Group, mentioned above, and partnerships such as that between DOC and Te Rūnanga o Ngāi Tahu through the Te Waihora Joint Management Plan, and Environment Canterbury, Te Rūnanga o Ngāi Tahu, and the Ministry for the Environment through Whakaora Te Waihora. Environment Canterbury has asked farmers across four zones, including Selwyn-Waihora, about their understanding of the Canterbury Water Management Strategy (CWMS) and attitudes to water management in general. The survey was undertaken in July 2015 and involved telephone interviews with nearly 500 farmers including 137 in Selwyn-Waihora. The full report is available here. Environment Canterbury track the lake level. The period Jan 1, 2013 to June 30, 2015 included the highest lake level since 1945. The level reached 1.81 masl in late June 2013, inundating land around the lake margins. A table showing details of lake openings since 1905 can be downloaded here: Te Waihora lake opening data – 1901-30 June 2014. Information about the lake opening options which have been used and considered over the years can found here. Canterbury Region Dairy Report 2014-2015 season – this report covers the level of consent compliance for the discharge to land of dairy effluent collected in the milking process in Canterbury in the 2014–2015 dairy season. The Canterbury Region Water Use Report for the 2013/14 Water Year analyses the data Environment Canterbury has gathered on consented water use – both groundwater and surface water. This report represents around 50.4% of all consented surface water and groundwater takes in Canterbury (with a rate of 5 litres per second or more). All water consent-holders with a take > 20 l/s were required to install a water measuring and recording device by November 2012. Consent -holders with a take 10l/s or more, but less than 20 l/s are required to install a water measuring and recording device by 10 November 2014 to comply with government regulations. For a take of 5 l/s or more, but less than 10 l/s the deadline is 10 November 2016. Future water use reports should give a fuller picture of how much water is applied to land across the region. As part of the Canterbury Water Management Strategy, ECan have been investigating ways to implement water management in the Selwyn-Waihora area. One of the options is the use of groundwater from deeper artesian bores to augment flows in the lowland streams that flow into Te Waihora. Visit the Targeted Stream Augmentation post for further information and a link to a recent report. On the Living Lake Symposium Field Trip (November 18) we heard about the recently installed real time water quality monitoring stations. The Canterbury Waterway Rehabilitation Experiment (CAREX) is a University of Canterbury research programme which is currently undertaking work in the Te Waihora catchment. News of the projects and findings can be found in their newsletters, which can be accessed from their project page. 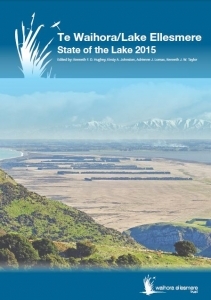 The Water section of the 2015 State of the Lake report includes an overview of the water quality and cultural monitoring programme for Kaituna Valley. The report on the Kaituna catchment water quality monitoring can be downloaded here. 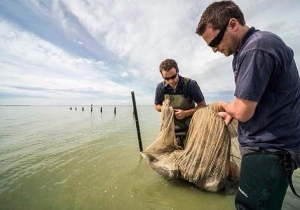 A trial looking at re-establishing the macrophyte beds about the lake margin is one the research projects being funding by the Whakaora Te Waihora programme. An overview can be found in a presentation given at a community hui in November 2014. Maori Television visited Taumutu in 2014 and made a short documentary about the trial. That programme can viewed here. Birds – the results of the 2013, 2014, and 2015 Te Waihora Wetland Bird Surveys can be found on the WET website. Each has its own project page. The brief summary included in Te Waihora/Lake Ellesmere State of the Lake 2015 is largely based on recent work undertaken by NIWA. Have you seen any koura (freshwater crayfish) or kakihi (freshwater mussels)?Environment Canterbury is keen to investigate the current state of koura and kakahi populations in the region. Find out more about the project here. 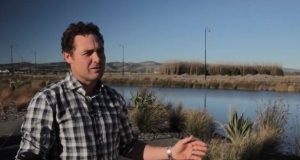 Optimising the Māori in Māori Economic Development – this short video features the Te Whāriki subdivision in Lincoln, where extensive wetlands and swales have been constructed to filter stormwater and protect the waterways and ultimately Te Waihora. Information on the Rail Trail can be found on the Little River Rail Trail Trust’s website. WET has produced a brochure showing access points to the lake and where different activities can be undertaken. Information about access routes across conservation land is also available available from the Department of Conservation and Fish & Game NZ. The vehicle access routes should only be used when ground conditions are firm and dry. When ground conditions are wet, vehicles can cause adverse effects on mahinga kai or conservation values. 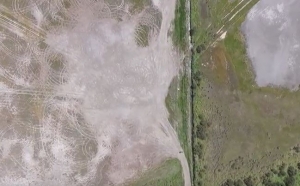 Thanks to DOC and the Lincoln University School of Landscape Architecture for this footage flown in November 2015 which shows the extent of damage caused by vehicles on designated access routes and surrounding areas around Te Waihora/Lake Ellesmere. The State of the Lake 2015 report includes a an assessment of of a set of indicators relating to tangata whenua objectives for Te Waihora, as articulated in the Mahaanui Iwi Management Plan 2013. The author, Gai Tipa, has also supplied a more detailed report which explains a little of the rationale for the scores awarded. That report can be downloaded here. Ngāi Tahu have released a series of short documentaries focusing on mahinga kai. One of the series looks at catching pātiki (flounders) and the importance of Te Waihora to Ngāi Tahu as a food source. 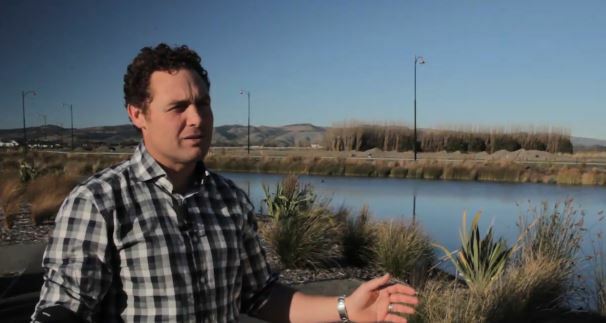 Maori Television visited Taumutu in 2014 and made a short documentary about the trial underway to re-establish the macrophyte beds around the lake margins. That programme can viewed here.